3 audiobooks I loved this month (plus great news about Harry Potter). 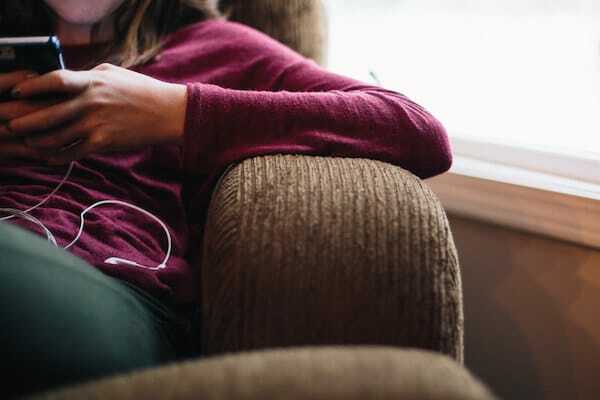 I took an accidental break from audiobooks in October: my general pattern is to ignore my favorite podcasts for a few weeks while I throw myself into an audiobook, then catch up on my podcasts while I figure out what to read next. An audiobook feels like more of a commitment than a regular book, and I struggle with the choosing. But not this month. In November, I didn’t waste time debating what books to listen to: I got hooked on two long novels, and then stumbled across a short novel narrated by Colin Firth … which means I spent my time actually listening instead of debating what to read. The entire Harry Potter series is now finally available on Audible. We’ve been checking the cds out of the library for years, repeatedly, but—at least for myself and my family—Audible is so much easier. These editions are fantastic: like so many readers, I first got hooked on audiobooks when I listened to Jim Dale read Harry Potter and the Sorcerer’s Stone back in 1998. Silas and I have been reading through the series out loud and he loves the idea of adding Jim Dale into the mix (especially because Mom’s voice gets tired). We just finished Azkaban in carpool line Friday morning (which has seriously been one of my favorite things this fall) and I promptly downloaded Goblet of Fire. If you’re not an Audible member, you can use this link to download two free audiobooks with an Audible trial. Have you listened to any good audiobooks lately? I’d love to hear your recommendations in comments. P.S. The beginner’s great big guide to audiobooks, 40 favorite audiobooks for kids, 10 engaging audiobooks read by their authors, and a trick to save big on audiobooks. 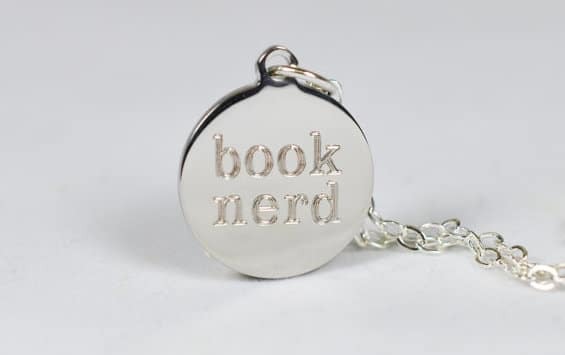 Next:11+ gifts that are perfect for book lovers. We listened to Harry Potter on two separate cross country road trips with four kids and it was awesome! Made time fly. My husband and I downloaded all of the HP audiobooks from Overdrive. I like Jim Dale … but I just don’t love his Hermione. For some reason that is a stumbling block for me there! I was glad I reread all the Lunar Chronicles before Winter, just to have my details in a row. Scarlet (the book, not character) wasn’t my favorite and I had forgotten a great deal of it. I’ve abandoned audiobooks for podcasts lately … But maybe with the holidays I could use a book & headphones to retreat into. Have you listened to the Stephen Fry versions? Oh but Jim Dale’s Hagrid is second to none! I perpetually listen to these while in the kitchen. I am on the hold list for Winter. Can’t wait to read it! I am SO excited they’re on audible. Made me day when I saw that. We’re driving to Colorado the week after Christmas and now we know what we’re listening to! Oh I’m so glad HP is on Audible! I do have all the books as MP3s so it may seem wasteful to buy them again on audible but honestly it is soooooo difficult to listen to them the way I have. The tracks mix in with songs I have downloaded, and you really can’t “bookmark” your spot very easily. The audible version will be much easier to use. Yay! Winter is on my reading list, but I doubt I will get to it until next year. We’re loving listening to The Penderwicks right now. We all really enjoyed the narration for Island of the Blue Dolphins, by a native American with the softest, most appropriate accent ever. Those are great ones! I especially loved Island of the Blue Dolphins as a kid, but I don’t think my own kids have read it yet. The new Roberth Galbraith book can’t come fast enough, but I fear it will be at least a year! I am embarrassed to admit that I have only read the first three Harry Potters (years ago, when I was on jury duty). I said that I would start over when my kids were old enough, but my oldest is already three book ahead of me. I’ve heard so many raves about the narration that I might invest in these. My middle guy would love to read Harry Potter on his own, but he’s not quite there. Bet he would love to listen! I loved the audiobook I finished last night: Memoirs of an Imaginary Friend by Matthew Dicks. Thanks for the audiobook recommendation! 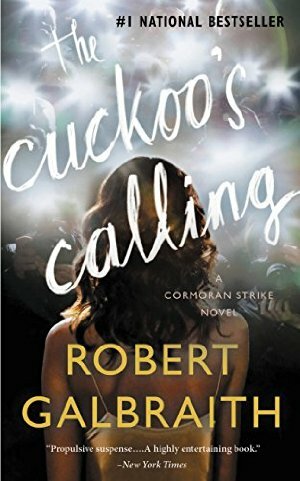 I have been wanting to read the cuckoo’s calling, but I haven’t thought about the audio version. Genius. 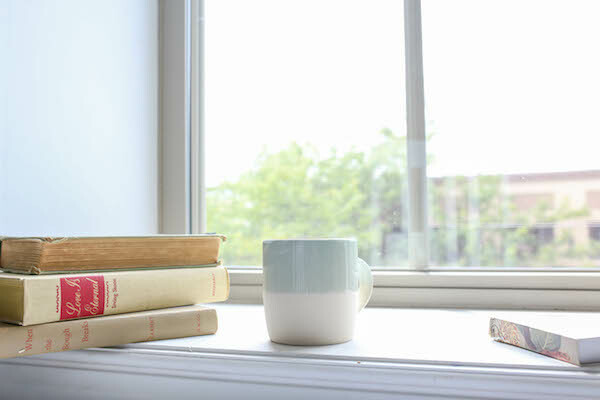 I’m curious: when do you listen to books? I’m just wondering how to practically add this to my day? Thanks Anne. I listen to books when I’m running, when I’m doing chores or yard work, and when I’m in the car by myself. 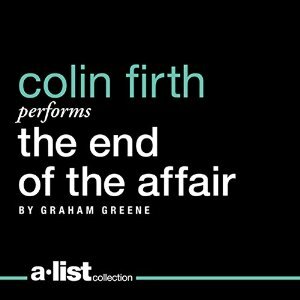 The End of the Affair is one of my very favorite books, but add in Colin Firth? Wow! I will definitely check it out. Tell me more about that book?!??! It sounds interesting! Is it family friendly? I was impressed, and am adding more Graham Greene to my list! My thoughts exactly. I might swoon. Please tell me how you manage to listen to audiobooks. I have tried in the past and it just did not work for me. I seem to have people around all the time. It’s very distracting!! I listen to them when I run, whenever I’m in the car by myself, and when I’m doing tasks that occupy my hands but not my head (folding laundry, raking leaves). But seriously? Colin Firth? I would hide in my minivan to listen to that one ? I’m listening to Echo by Pam Muñoz Ryan- it is so fantastic that I even though I had plenty of time to finish my library copy, I already bought it from audible and I can’t wait to listen again. Echo is middle grade historical fiction and it is storytelling at its finest; the story is largely about a harmonica– and the audiobook incorporates the music into the narration. It is so great- and makes me so sad for anyone who read this book instead. My favorite audiobook discoveries have been Tim Curry reading the Sabriel books by Garth Nix, and Anne Hathaway reading the Wizard of Oz. All books that I have loved for years and frequently re-read, these audio versions only caused me to relish them even more. The very first audiobook that changed my mind about audiobooks was Nicol Williamson reading “The Hobbit”. I’ve yet to find a narrator I love as much as him, but I haven’t given up! We enjoyed reading that book as a family but haven’t done the audio version yet. Thanks for the tip! I’m still wavering on audible…being such a fast reader, how do you have the patience? And being borderline HSP, I find it hard to have noise on in the background that requires my focus. I also NEED fantastic narrators. I listen to audiobooks while I’m cleaning/folding laundry/taking out the trash, but I also listen while I’m running, which is blessedly quiet for listening, plus a good motivation to lace up my shoes and get out the door. I tend to have Netflix time while folding laundry, but books would be much more profitable. I was able to check out the audio version of Ballad of the Whiskey Robber from my library. If that goes well, I may give audible a try. I’m curious to hear how that one is on audio. It’s not bad. Fairly engaging so far, but not my favorite narrator. I am enjoying the writing and at times really want to see the structure of the words on the page. Does that sound weird? ? I second the 1.5x speed and also listen while running/chores. My house is a lot cleaner now that I discovered audiobooks! I read The End of the Affair years ago (the only Graham Greene I’ve read) and now I want to listen to the audiobook. Thanks for recommending it. I have really enjoyed “Call The Midwife”. Many of the stories are those of the TV show, but it is lovely to hear the stories told in a British accent. I also love learning about post war England. I’m currently listening to “In the Kingdom of Ice” about the polar voyage of the USS Jeanette. I’m only about 6 hours (of 17) in, but am really enjoying the story. I’m listening to I Know Why the Caged Bird Sings by Maya Angelou. Oh my gosh, listening to her tell the story of her childhood in her own voice is so powerful. It’s a hard book in terms of content but worth the slow pace (and the tears). I have the Harry Potter CDs and various Jane Austen audiobooks (also as CDs), but I need to listen to more! It’s great to be read to! 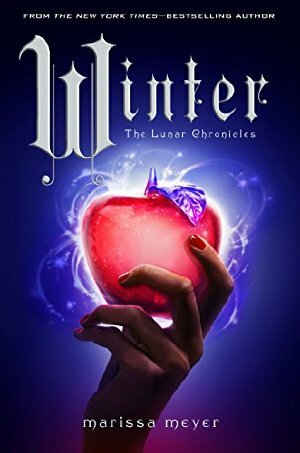 Anne, Thanks so much for recommending the Lunar Chronicles. My niece, who is 23, has never liked to read (Gasp!!). I can hardly believe that we are related! A few months ago, she got her hands on, believe it or not, Fifty Shades of Gray, which would not have been my first choice, but she whipped through all three books plus the one written from the man’s viewpoint and was looking for something else to read. I suggested Cinder, since I had seen it recommended several times on this blog, again, not my cup of tea, but it was just weird enough that she enjoyed it! She’s finished Cinder and is off to the library today to look for the next in the series. She is also reading “The Selection.” Thanks again for a perfect call! My favorite audiobook is Wolf Hall by Hilary Mantel (and the sequel, Bring Up the Bodies). I also appreciated the audio version of the Chief Inspector Gamache series by Louise Penny. The appropriate accents brought the characters to life and made the series much more enjoyable than the print version. I loved the Louise Penny books on audio. I tried and didn’t really get into Wolf Hall on my first attempt, but it never occurred to me to do it on audio. Thanks for the tip. Great post, Anne! I loved The Cuckoo’s Calling which I read in paperback earlier this year. I plan on moving on to The Silkworm eventually and I might try the audio book. I’ve never tried audio books before, but I’ve found myself getting into podcasts over last 6 months. So I think I’ll give it a try! Oooo I also just re-read ‘Room’ and loved it even more than on the first reading. I am thinking about reading it again as an audio book! I think it would be a great one! I have been listening to a lot of parenting books on Audible. I listen on my commute to and from work. It seems to be the only time I can dedicate to actually “read”. I struggled to get through reading All the Light you cannot see(I don’t know why) but got the audible version yesterday and was hooked. I listened to it for two hours last night without even realizing the time had passed. I keep hearing that about the book vs audiobook. Good to know. I’m currently listening to The Song Machine by John Seabrook. It’s a history of manufactured pop music. Sounds like an odd topic, but it’s fascinating and the narration is great. I’m betting that’s one of those topics that sound ho-hum that are surprisingly awesome. You are the best post title writer. I wouldn’t have clicked on just an audio books post because I pretend I’m resistant to listening (and then we go on road trips and I check a half-dozen CDs out of the library), but I had to know about Harry Potter. And this is just perfect. I’ve been reading aloud with my 9 yo and wondering how we’re ever going to finish in a timely enough manner to keep her attention, and I’m a Prime member so I got a free 3 month trial. Yay! You get a free THREE month trial with Prime? Nice! Thanks so much for sharing what you’re reading and listening to. I’m a huge fan of audiobooks and am always eager to see what you’re listening to/reading. My favorite thing to do is to listen while I’m working on a knitting or crochet project. Feels like an incredibly productive use of my time. 😉 Thanks so much. Good news about the HP series…..my youngest (8) has yet to read it. She thinks it’s a bit too scary. My audible library is very long….I think it’s the greatest thing. I can only use it when I am alone (chores, driving, walking) One of my favourites is The Good House by Ann Leary, narrated by Mary Beth Hurt. The story is very good but I loved her voice and inflections. It was an added bonus to a great book. What’s the difference between getting the audiobooks at the library, getting them from Overdrive through your library, and Audible? In other words, when you’re on Audible, aren’t you buying each book and doesn’t that get expensive? I’m a Prime member too, so how do I get the 3 month trial?! With Audible you do indeed own the books (even after/if you cancel). They have four or five different membership plans that work out to audiobooks costing $9.56 – $14.95 each. Members can also participate in their fairly frequent big sales (two-for-one, bestsellers for $4.95, kids’ favorites for $2.95, etc). Anyone (members or non-) can buy their daily deals, posted daily at audible.com/dailydeal. These are usually $.99 – $3.95. This post makes me double excited! First, I didn’t realize Winter was out… Secondly, Harry Potter is my FAVORITE audiobook series. I’m so excited that they are finally on audibles! I tried “The End of the Affair” based on this post- I finally returned it. If there is a pay off at the end, I missed it- I just could not make it through the rest of it. I might do better in print. It was just too sad. I picked it based on the reference to “Brideshead Revisited”, which I love! I did enjoy listening to Colin Firth’s narration and hope he will do another book. But I appreciate your recommendations! I found one of my all time favorite audios through your podcast- Wednesday Wars. I have gotten my nieces, nephews, my kids, my sister, my brother in law… anyone who will listen to me to listen to it.